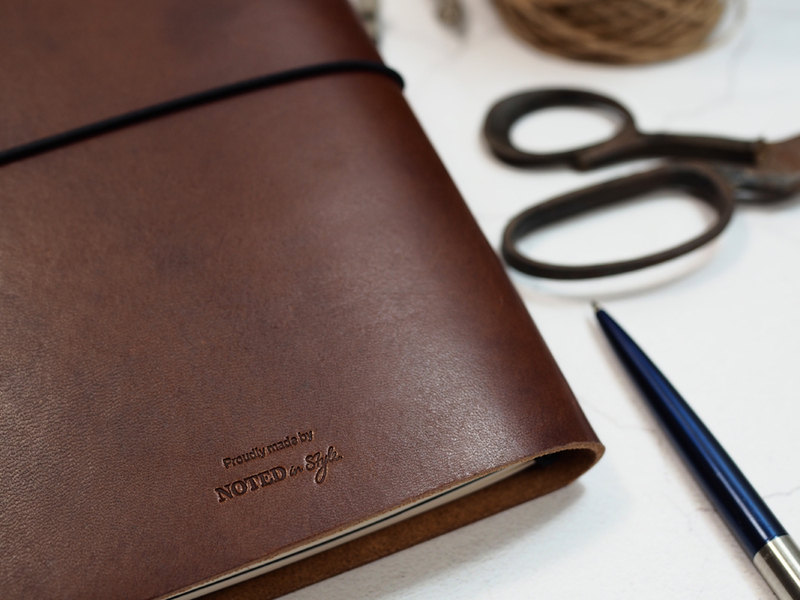 When it comes to promotional products, there’s nothing quite as special as a handcrafted genuine leather item; the look, the feel and the smell. Whilst real leather items have a higher price point than most, given the luxury look and feel you get, along with durability and timeless style, they’re worth the investment. Unless, of course, your genuine leather promotional products aren’t actually genuine leather at all. Don’t be afraid to quiz your supplier on the authenticity of your leather promotional products – any reputable supplier will be able to answer your questions. You could ask them if your products are made with aniline, semi-aniline or pigmented leather, for example. Aniline leather has not been given a pigmented coating, so the natural grain and texture shows clearly through, semi-aniline leather has some pigment in the coating that partially masks the texture and pigmented leather completely conceals it for a smooth, flat finish. Put your supplier to the test before you commit to buy. Good quality comes at a cost, and it’s usually a pretty accurate indicator of whether or not your leather promotional products are the real deal. So if you think you’ve found the perfect products and the price is surprisingly low then, unfortunately, it’s probably too good to be true – and definitely worth investigating further before you buy. At the other end of the spectrum, it’s a good idea to check what you’re buying is genuine before parting with a large sum of money. Any trustworthy company will be happy to send you a sample or swatch of their material before you purchase. Real and faux leather can be extremely similar to touch, so we recommend subjecting your sample to what we like to call the ‘Smell Test’. 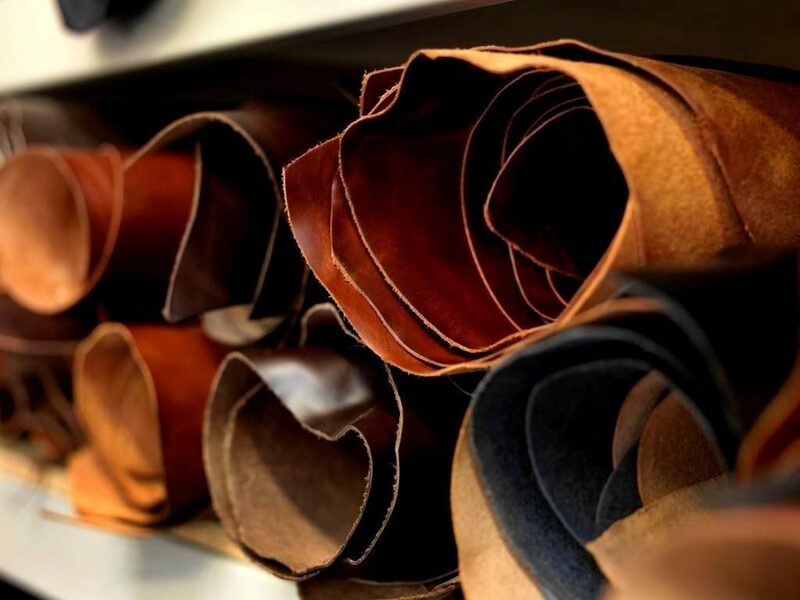 The smell of real leather is very distinctive – it’s been described as rich, earthy and sweet by leather fans, whilst faux leather has no odour at all or smells like chemicals. Take a good whiff and see which of the descriptions best matches the scent. Ok, you might not actually want to follow this final tip – especially not with a returnable sample. But if you were to try and set light to your leather promotional products, you’d be there for a long time. Real leather takes a while to catch fire and is generally resistant to small flames. 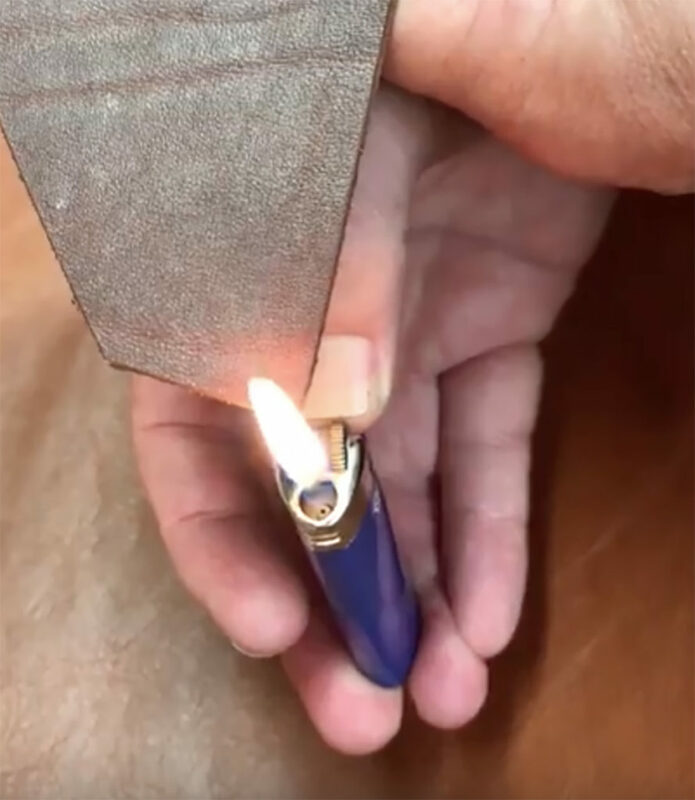 Faux leather, on the other hand, will immediately catch light, deform and blacken when it comes in contact with a flame. 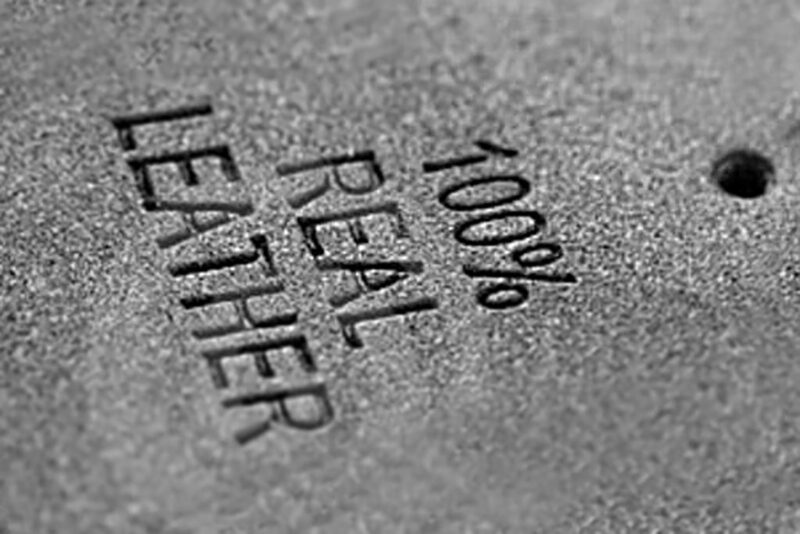 It’s a sure-fire way of telling the difference between real and fake leather – but luckily many have put this to the test, so you don’t have to. If you’re looking for leather promotional products or simply have any questions about leather, get in touch to speak to one of our knowledgeable team.